New Albany Schools' students share at Christmas. Students in some fourth and fifth grade classes at New Albany Elementary School adopted students in Ms. Susan Kelly’s and Ms. Scherrita Tucker’s classes and provided gifts for them to open on December 18. 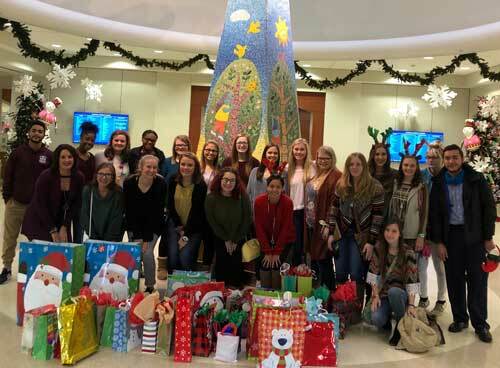 Second year students from the Health Sciences and Early Childhood classes at New Albany High School of Career & Technical Education visited LeBonheur Children’s Hospital on November 29. The students delivered Christmas presents to the patients, toured the hospital, and met with a child life specialist.